Imagine a time in the 1980s-1998, there is an exciting, exceptionally athletic Black ice skater who kept coming close, time after time to winning the top prize at the Olympic games and at the World Championship events but she never makes it. The fans love her as she is truly an amazing figure on the ice. 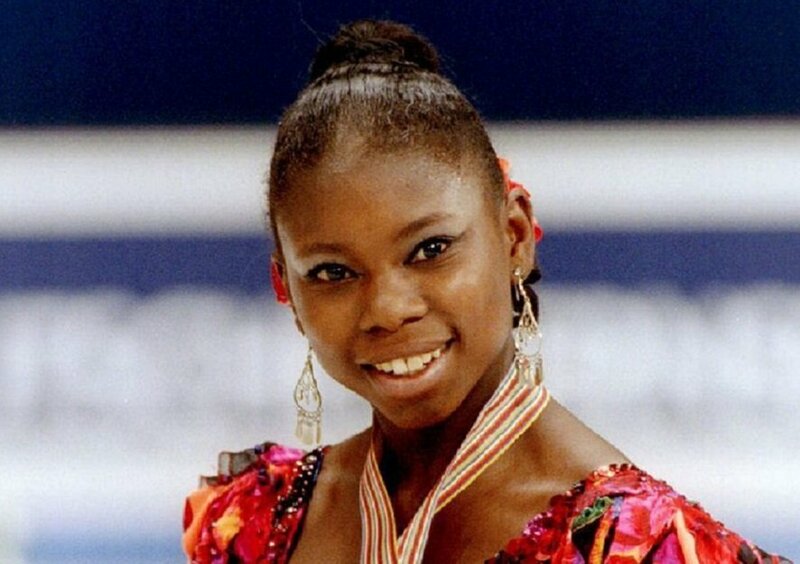 Her name is Surya Bonaly. She did all the different moves / jumps as described in the below video with ease. But because of the color of her skin, she never knew if the judges kept rewarding her with lesser scores time after time on this basis or because she actually didn’t earn it. At the time, she was the only Black figure ice skater who had been competing at all the major contests. But unlike Serena Williams who has also complained of perceived slights because of her color and athletic style, where she could count on the tennis court lines and the ball being either in or out, for Surya Banaly, the judging in the sport of ice skating is much more subjective. I, for one, am grateful that she continued to compete in figure ice skating programs for years, as there are ample videos demonstrating how great an athlete that she was despite whatever was said by the judges. 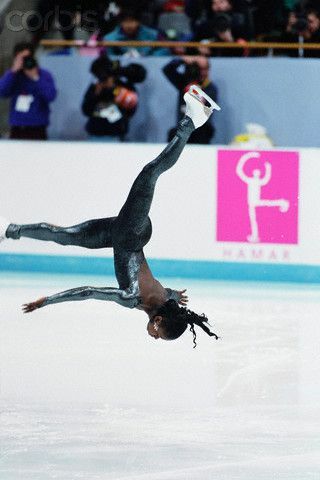 In 1998, she became a sensation around the world for a show stopping stunt at the Ice Skating Olympics in Japan. This was to be the last time Surya Banaly would be competing. Before the competition she suffered a serious injury to her ankle but she decided to go for it anyway. Early on in her routine before the crowd she fell. She realized it would be impossible to win any major awards, so she decided to do her thing and show off her athletic skills. Even with an injured ankle, she did with incredible ease, a move called the Banaly back flip where she finishes the flip by landing on one leg. This jump is so dangerous that it is banned from being tried in competitions. But she stole the show. 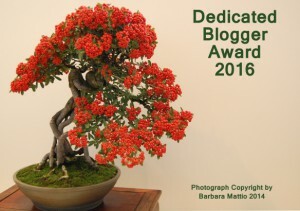 Some thought it was her way of giving the judges, the proverbial finger. Her jumping ambitions were practically unmatched. “A stunning back flip,” Newsday wrote, 20 years ago this week. Probably the only sporting event I ever watch are the Winter Olympics, and I remember 1994 well, for it was the scene of the great Tonya Harding/Nancy Kerrigan scandal. 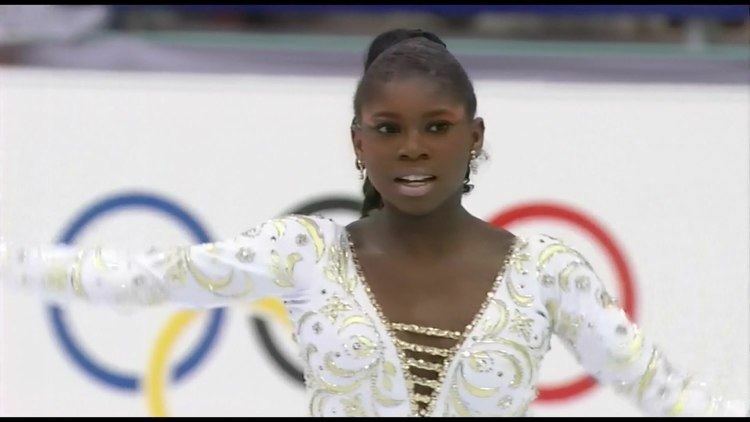 I do remember seeing Surya Bonaly, but don’t remember much else about her. To find that she was kept from the spotlight because of her skin colour, to me, takes the entire meaning out of the event. How very tragic! 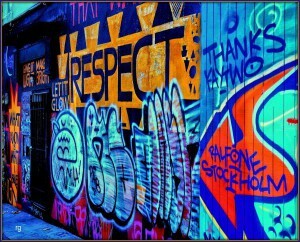 Thanks for this post … I haven’t done a single black history post yet this month, so I will share this one. In 1994, The Tonya Harding/ Nancy Kerrigan scandal did usurp a lot of media coverage, especially in the US. Nancy Kerrigan lost her chance to compete and Tonya Harding lost whatever awards she had earned. This was a story that gripped the headlines for weeks. Tonya’s husband hired someone to injure Nancy Kerrigan where she couldn’t compete. Once the truth was uncovered, Ms. Harding’s reputation was ruined in the ice skating world. This is what operas are made of and we were all mesmerized by this unfolding drama. This is a sport that lends itself to a lots of drama, politicking and infighting. If you’re not an insider in this sport, you’re not going anywhere. Personally, I’m believing these young people who devote so much of their time to be the best, to work at their craft, deserve better. Surya Banaly looked great on the ice rink. She loved to entertain with her marvelous costumes, great music selections and her outstanding athletic abilities. She was fun and the audience loved her but the judges didn’t. She just wasn’t that beautiful graceful ice princess who glided over the ice. Ms. Bonaly was no glider, she was a tour de force. It’s too bad the judging didn’t allow for someone who was more athletic in her style versus a skater displaying her artistry as the top priority. The plus was, that she was so good on the ice, that the system couldn’t block her from competing. It is a shame that in this, as well as most other sports, I think, money and ego often deprive the most talented, the hardest-working athletes. Just watching Surya Bonaly in these video clips one can see the amount of energy and effort she put into her skating. I wish I had noticed her more back then. Sharing your work is always my pleasure, my friend. I have been woefully negligent this month, for I haven’t written a single post for Black History Month. Our friend Gronda beat me to the punch this year. You may remember the 1994 Winter Olympics held in Lillehammer, Norway. It is often defined by two names: Tonya Harding and Nancy Kerrigan. But there was another figure skater who shined that year, and she is the subject of Gronda’s post. Thank you, Gronda, for highlighting the achievements of Surya Banaly and for your permission to share it. I remember watching her as a kid – she was amazing!